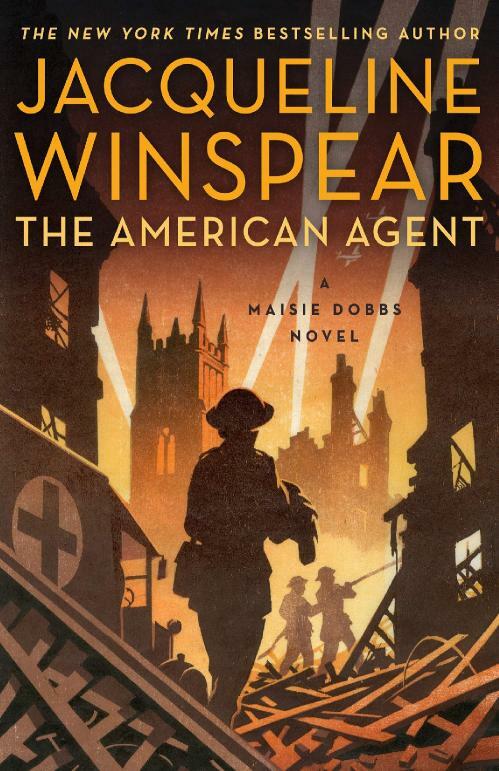 Beloved heroine Maisie Dobbs, "one of the great fictional heroines" (Parade), investigates the mysterious murder of an American war correspondent in London during the Blitz in a page. When Catherine Saxon, an American correspondent reporting on the war in Europe, is found murdered in her London digs, news of her death is concealed by British authorities. Serving as a linchpin between Scotland Yard and the Secret Service, Robert MacFarlane pays a visit to Maisie Dobbs, seeking her help. He is accompanied by an agent from the US Department of Justice-Mark Scott, the American who helped Maisie escape Hitler's Munich in 1938. MacFarlane asks Maisie to work with Scott to uncover the truth about Saxon's death. As the Germans unleash the full terror of their blitzkrieg upon the British Isles, raining death and destruction from the skies, Maisie must balance the demands of solving this dangerous case with her need to protect Anna, the young evacuee she has grown to love and wants to adopt. Entangled in an investigation linked to the power of wartime propaganda and American political intrigue being played out in Britain, Maisie will face losing her dearest friend-and the possibility that she might be falling in love again.